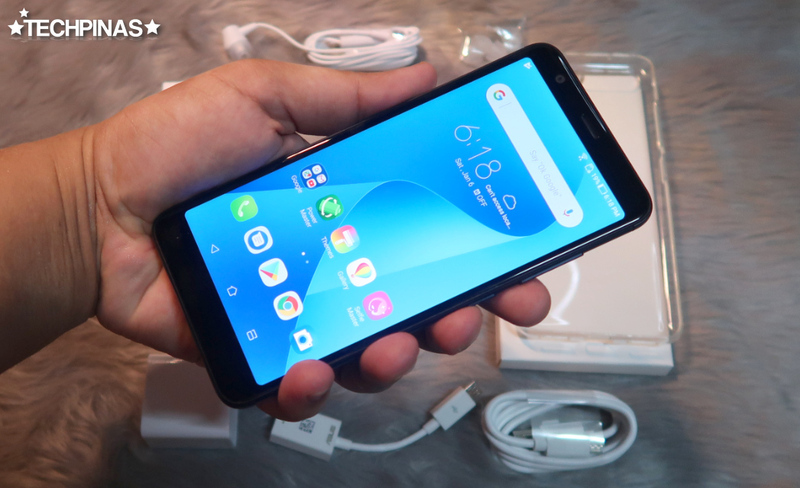 Asus ZenFone Max Plus Initial Review, Unboxing : Q1 2018 Big Battery Android Phone King? Taiwanese tech giant Asus is poised to start 2018 right by releasing a big-battery Android smartphone that will surely delight budget-conscious gadget consumers who want to get the most bang for their buck. 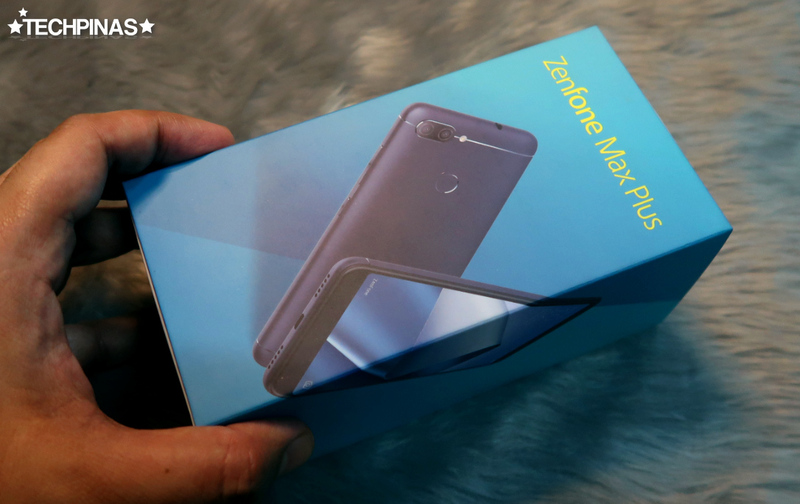 The all-new Asus ZenFone Max Plus comes replete with a slew of trendy and useful features, which are sure to enhance your mobile experience. 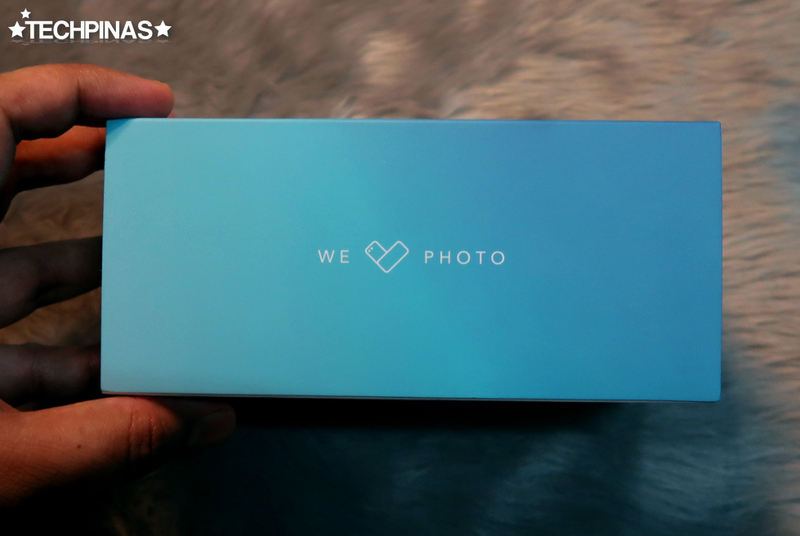 Before I talk about the phone's technical specifications, let's do a quick unboxing. 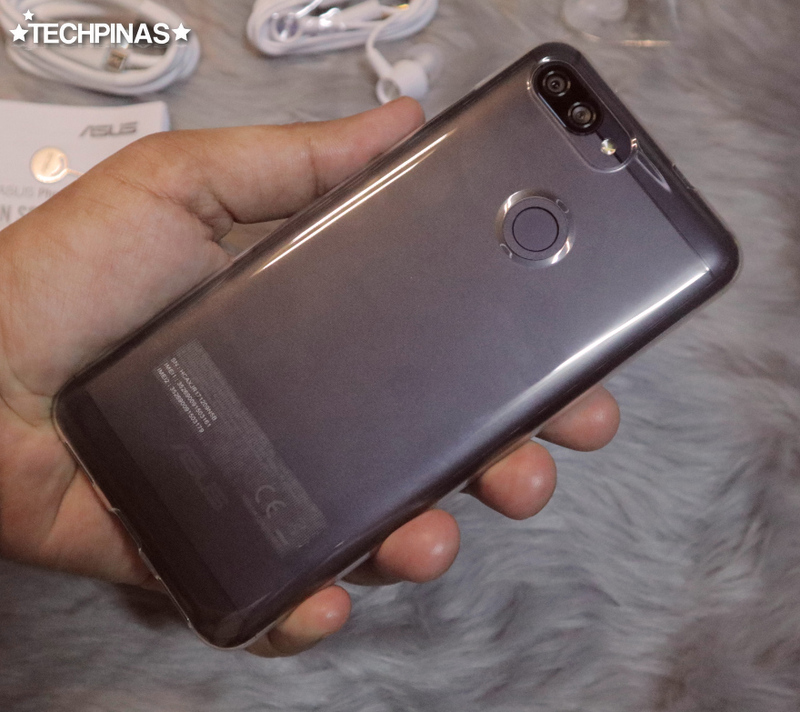 As you can see, the handset's box is largely similar to that of Asus ZenFone 4 Max from 2017 albeit this one is a bit taller and wider. At the bottom of the box, Asus listed down the main specs of this model -- so buyers would know exactly what they're getting. 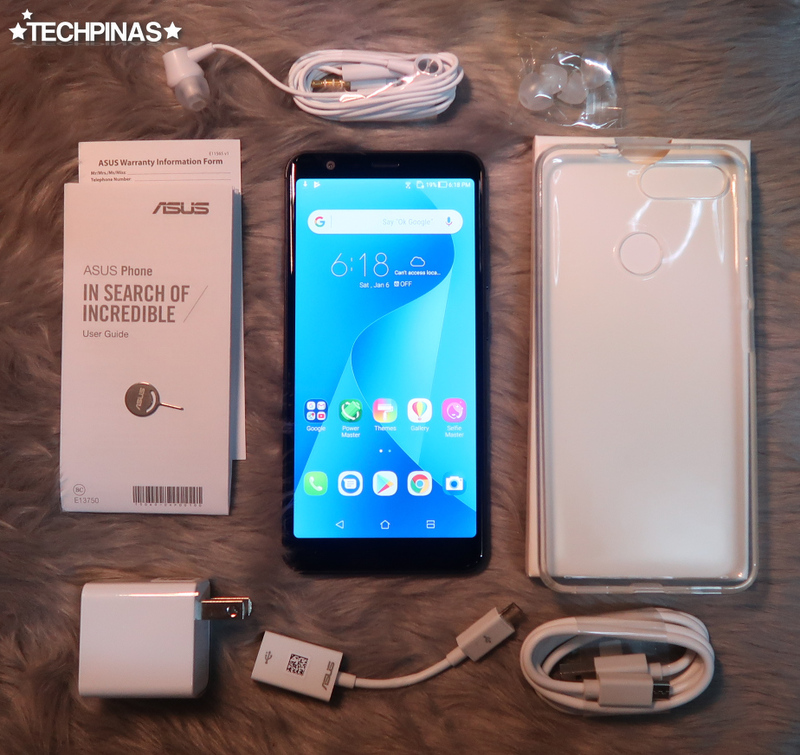 This is the complete and official Asus ZenFone Max Plus retail package, which will be released in the Philippines within the next few weeks. Let's take a closer look at all items one by one. 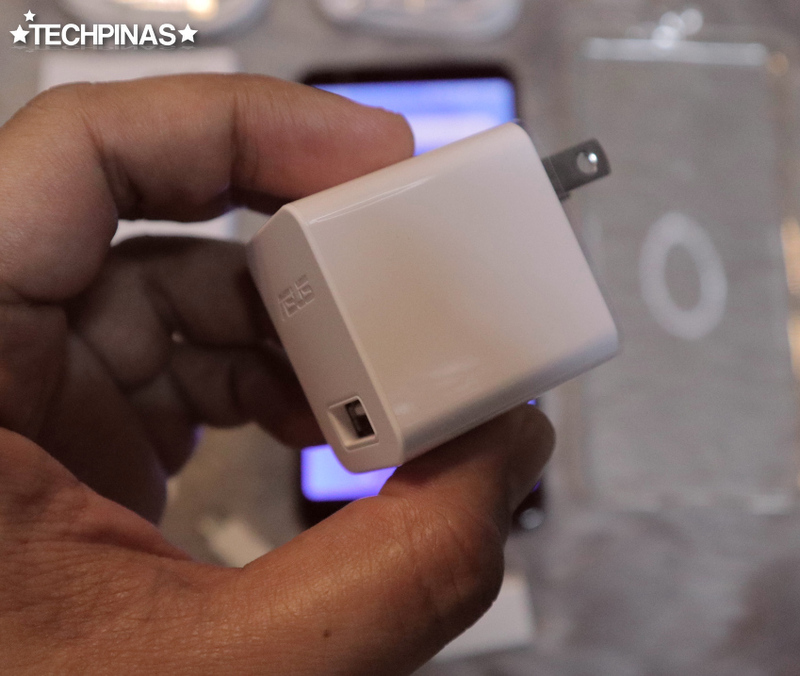 Here's the travel charger with 2A output. 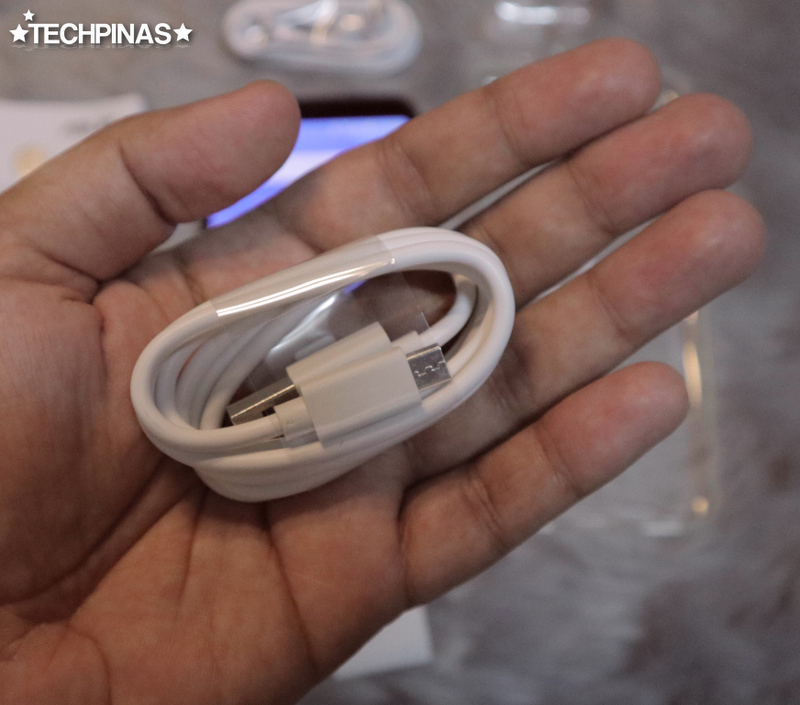 We also have the microUSB to USB connector cable for charging and data syncing with a computer. 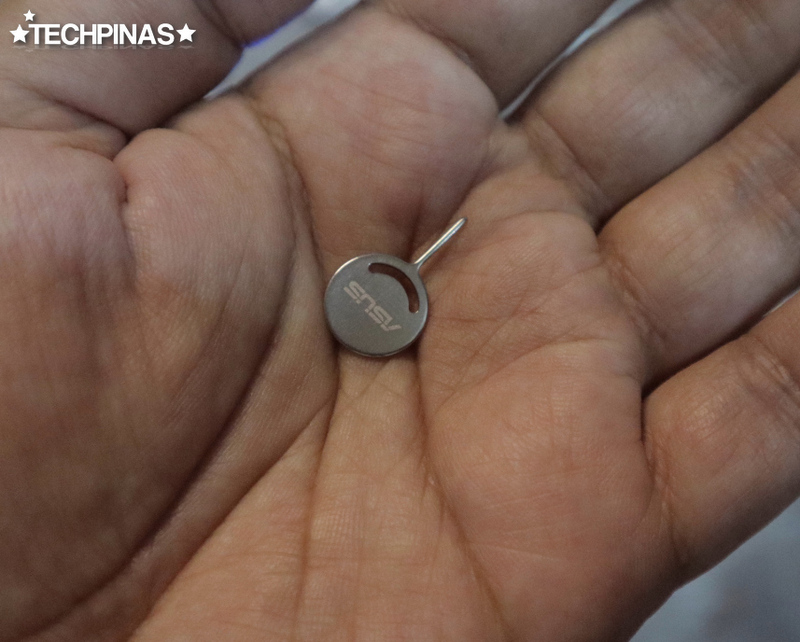 The cute Asus SIM card tray ejector pin. 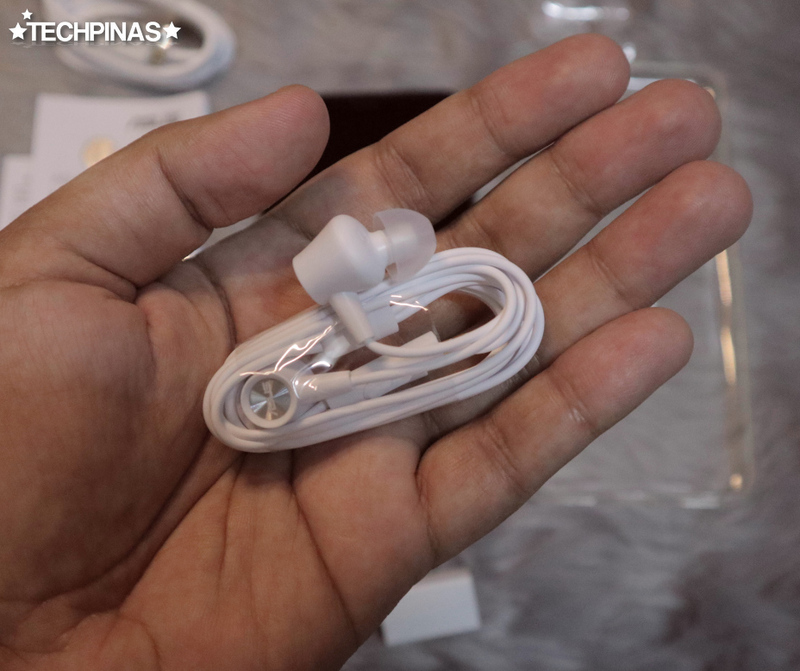 Standard earphones with two extra pair in-ear silicone buds. 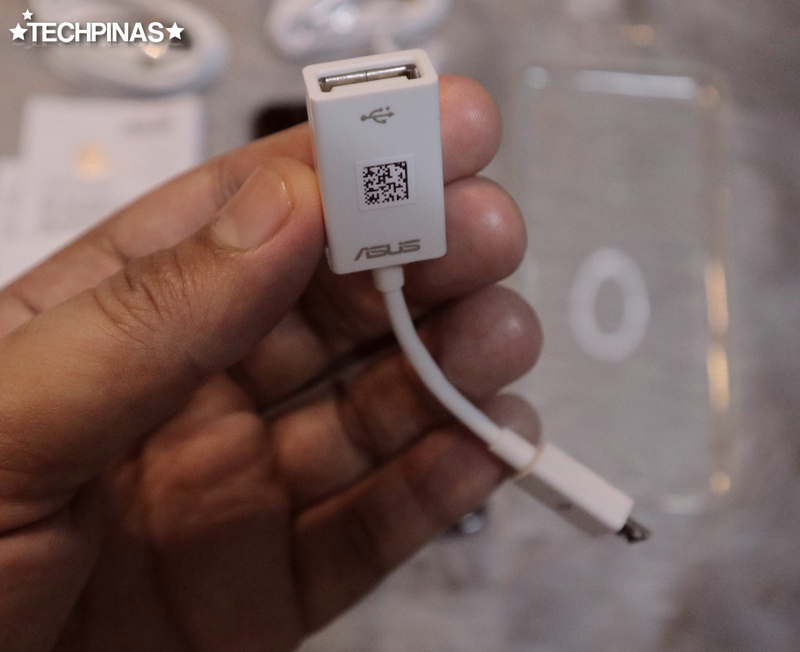 The USB female to microUSB connector cable, which is the accessory you'll need if you want to use the Asus ZenFone Max as a powerbank via Reverse Charging. 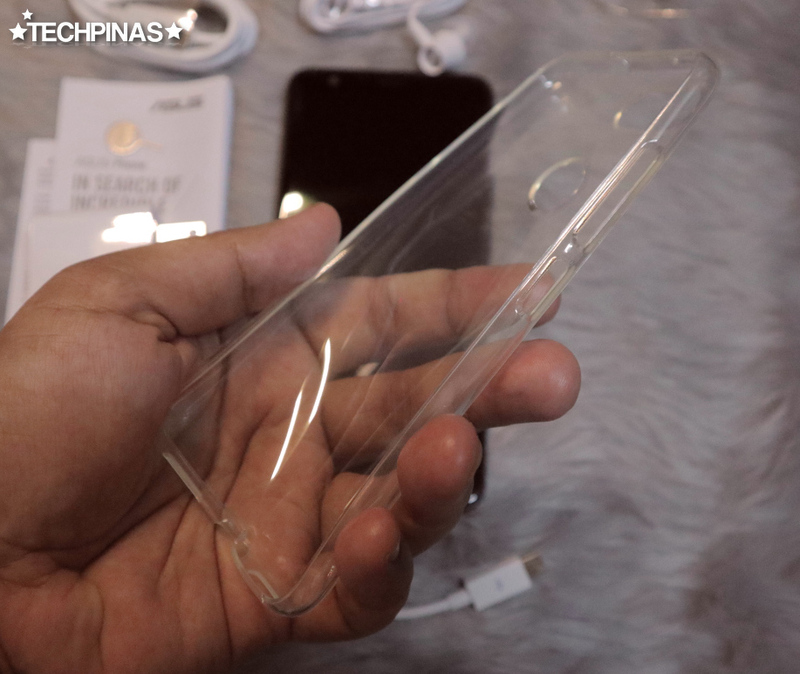 And what's cool is that Asus is generous enough to include a free soft silicone case for the handset in the package. You won't need to buy it separately. 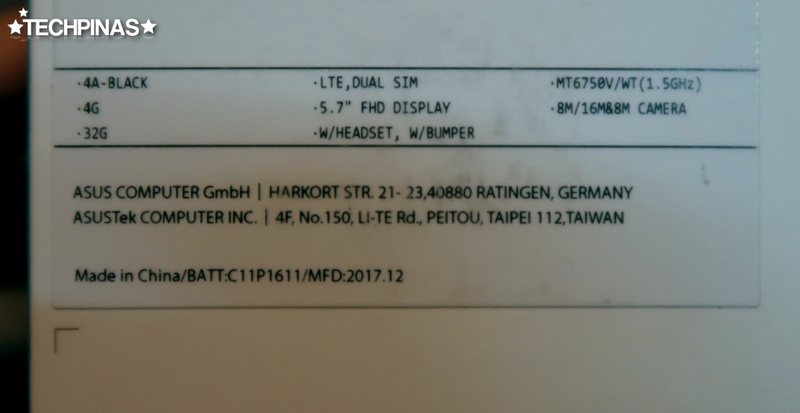 Finally, here's the handset itself. Let's do a quick rundown of its technical specifications and main selling points. Asus ZenFone Max Plus sports a 5.7-inch FullHD+ IPS display panel with rounded corners and tall 18:9 aspect ratio. This is the first Asus smartphone to have this sort of display, which already saw in popular and best-selling handsets by other brands in 2017. With it, the user can enjoy both a larger screen and a small phone footprint, making the device easier to hold or keep in the pocket. Above the display, there's an 8 MegaPixel front-facing camera with back-illuminated sensor that's powered by Asus' very own Beautification software. I've tried it out and I found it to be quite decent even indoors. It also lets you snap selfies with "bokeh effect" wherein the background is slightly blurred to highlight the subject. At the back, there's a Dual Camera set-up made up of a 16 MegaPixel PDAF shooter with standard field of view for smartphones while the other is an 8 MegaPixel optic with wide-angle lens, perfect for landscape photography or snapping group photos. Although this module is not quite as powerful as what's on the Asus ZenFone 4, I find this duo to be fairly reliable even when there's little ambient light. I mean, it's certainly better than what Asus ZenFone 4 Max has. 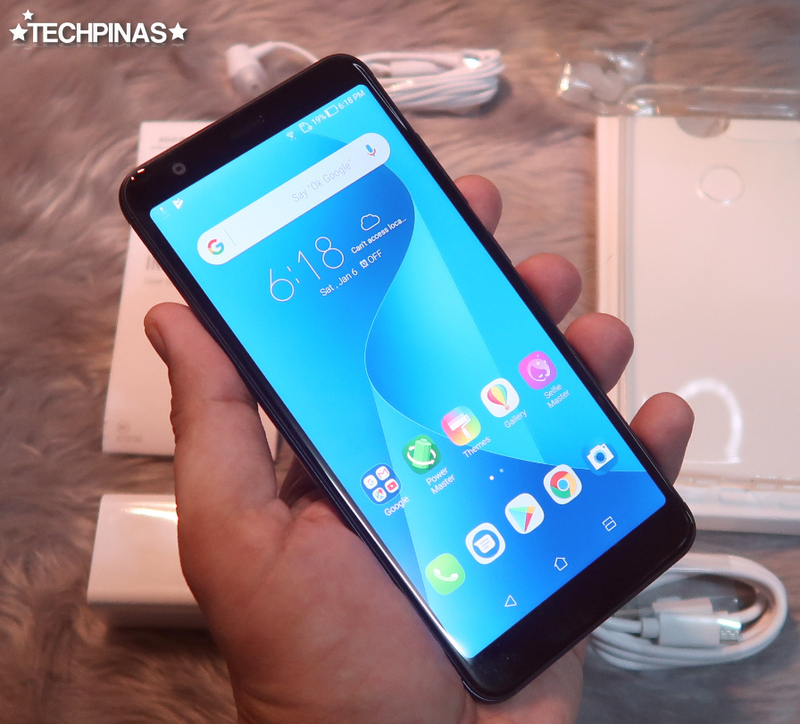 As for the internal hardware, ZenFone Max Plus runs its Zen-UI-skinned Android 7.0 Nougat operating system with a 64-bit 1.5GHz Octa Core ARM Cortex A53 and Mali T860 GPU based MediaTek MT6750 processor, has 4GB of RAM, and comes with 32GB of internal storage that's easily expandable using the dedicated microSD card slot. 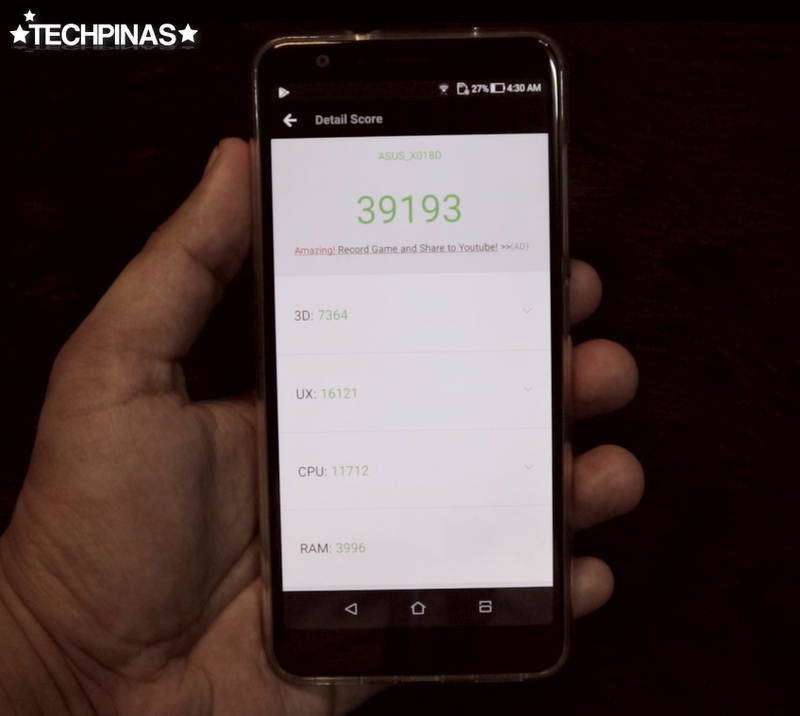 This set of innards gave the Asus ZenFone Max Plus an Antutu ZenFone Max Plus an Antutu Benchmark Score of 39,193 when I ran the test on the handset on January 6, 2018. This puts model more or less at par with some of the top mid-level Android smartphones released in 2017. Apart from its crisp, tall display and decent Dual Camera module, the two things I love about Asus ZenFone Max Plus are its sleek design and stellar build. Flaunting a unibody aluminum shell and 2.5D curved glass face, this handset is both durable and elegant; Certainly one that you won't be shy to place on the table during corporate meetings. Oh, and another thing, this model also has good security and privacy features. Aside from having a reliable Fingerprint Scanner, it also comes with Face ID Facial Recognition software that adds a veritable layer of protection against those who want to see what's in your phone without your consent. 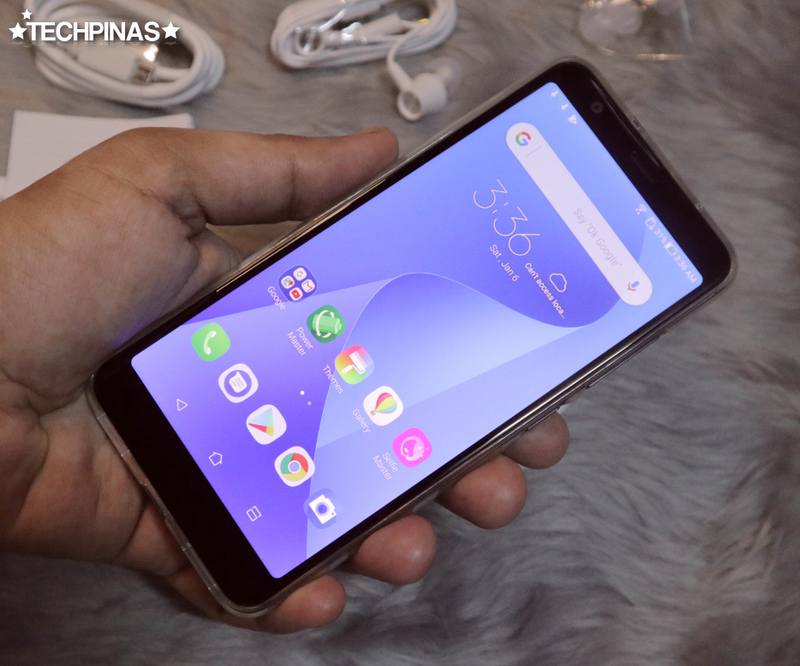 As of writing, Asus Philippines hasn't disclosed the official suggested retail price of this amazing Dual SIM 4G-enabled smartphone. I sure hope that they could price it well below Php 15,000. If they can do that, I'm confident that Asus ZenFone Max Plus will be one of the first monster best-sellers of 2018. It all boils down to right pricing, if you ask me. That's it for now. Stay tuned for sample photos taken using the cameras.